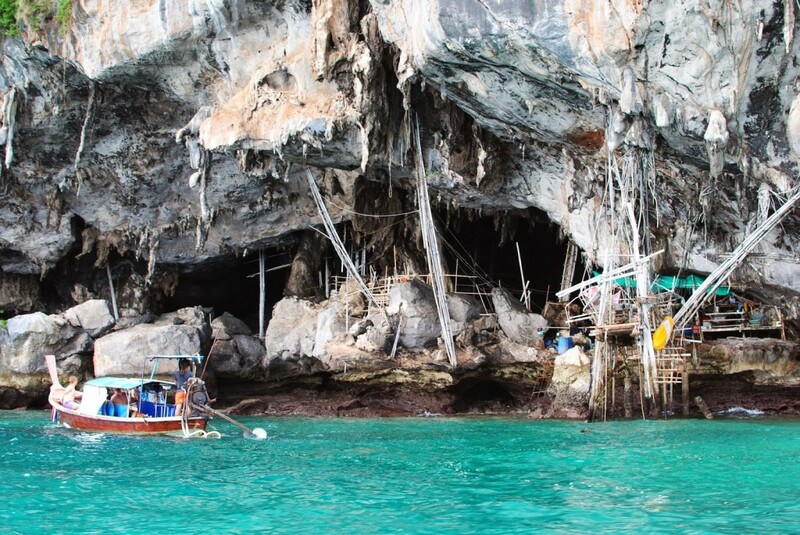 Excited to explore the smaller islands and coves around Koh Phi Phi, we put on our bikinis and headed off on a boat tour of Maya Bay. 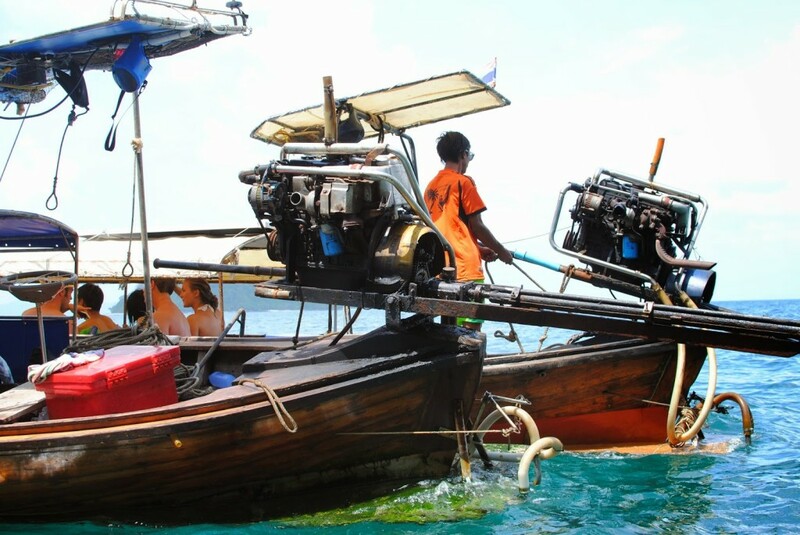 It is very easy to find a variety of boat tours on offer at the local tourist shops – they are all same same but (somehow) different – and you can book the same day. Our tour left at half past eleven and boasted breakfast, lunch and free Coca-Cola on board. It makes me laugh that they think offering free Coke will get people to sign up. And really, as Maggie pointed out, it’s not free it’s just included. 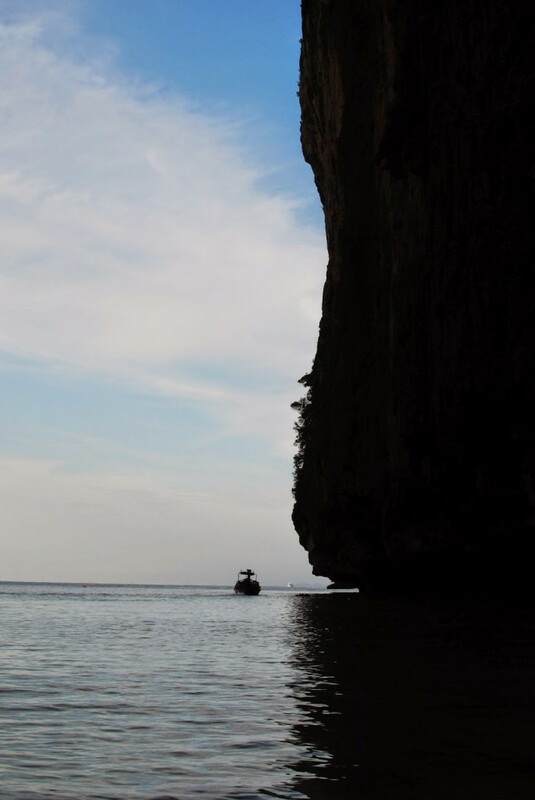 Our boat, a longtail, was pulled up against a wall and set of stairs that led straight into the water. Two men held the boats steady-ish as we climbed from the wall on board. I had one Dramamine pill left (good for 4 hours) and 8 hours ahead of me so I decided to see how long I could put it off. I quickly got distracted by other things like the questionable egg and mayo toast they had just handed out that I forgot to get seasick. 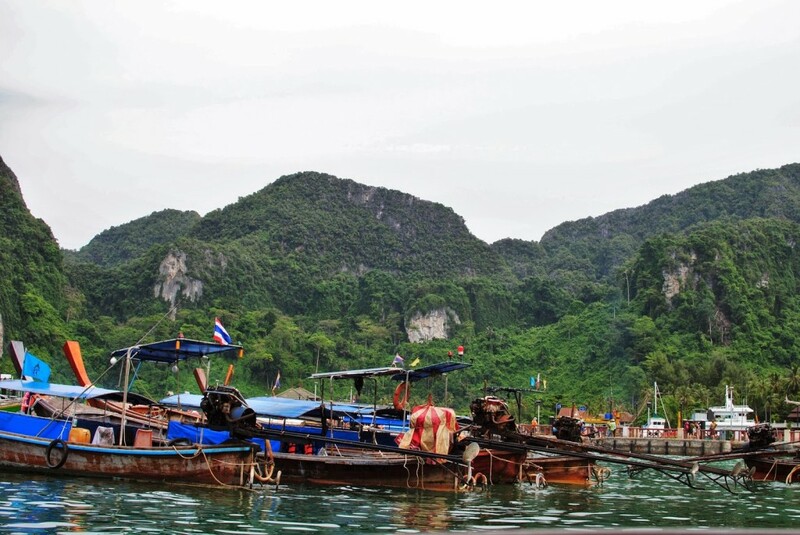 Our boat navigated through the hordes of floating longtail boats and hit the open water. The water was so clear you could see down to the white sand and it reflected a bright turquoise color. 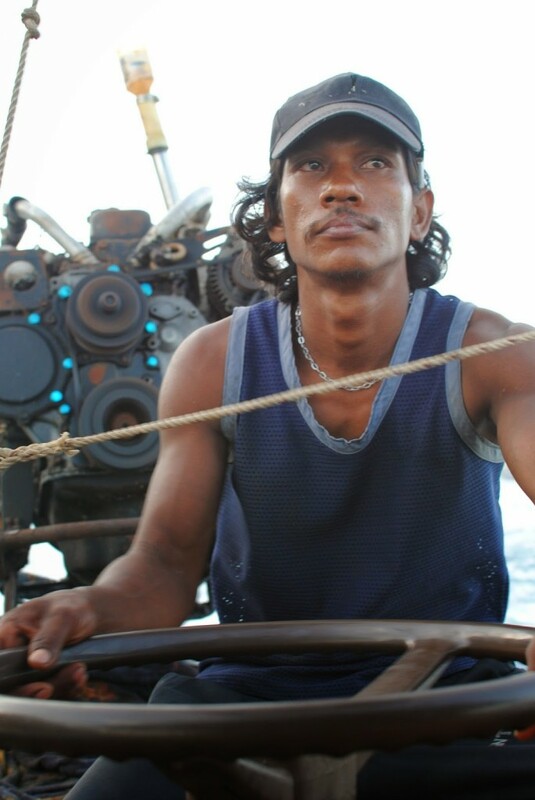 Before long the captain stopped and in broken English tried to coax us all off the boat. We looked around, no idea which destination we had arrived at and saw other boats nearby surrounded by people snorkeling. Okay, snorkeling then, that must be what we were doing. We shrugged our shoulders and jumped off the side with a crappy pairs of goggles in hand grabbed from a large hamper on board. The captains laughed as they threw bread into the water and watched the fish swarm us. 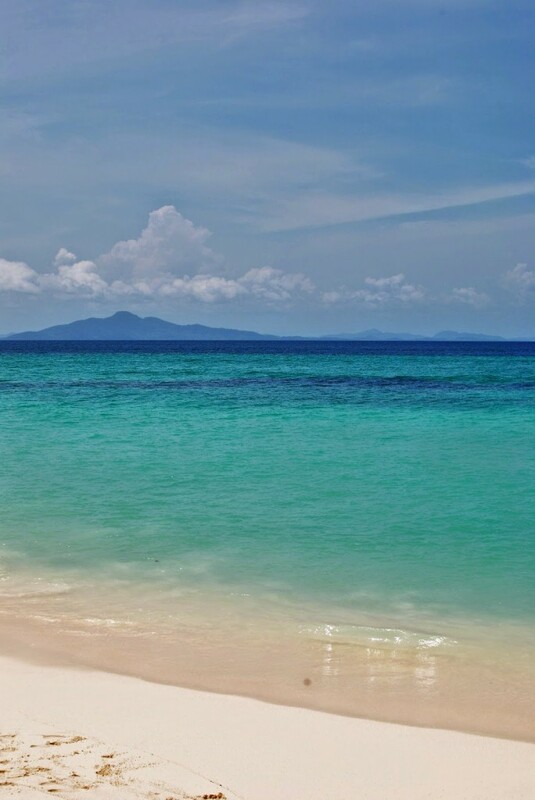 Our next stop was Bamboo Island. 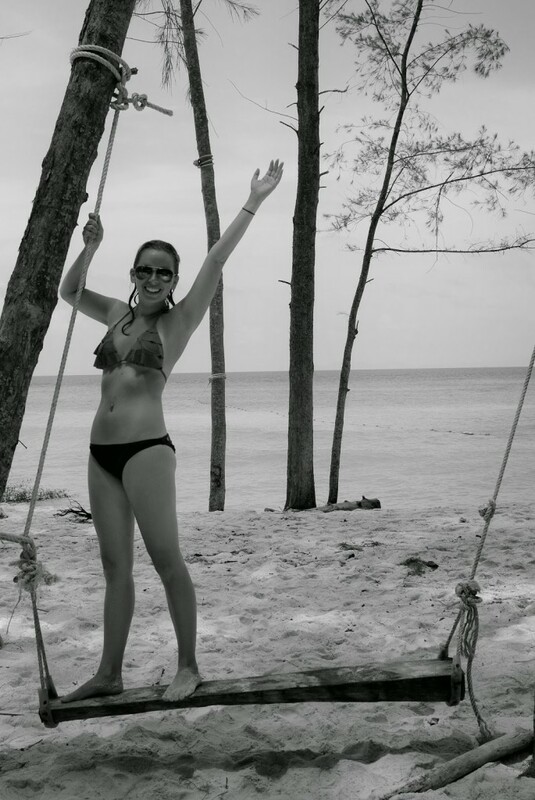 To get on the island you must pay a 100 baht fee, but it is the most beautiful beach. 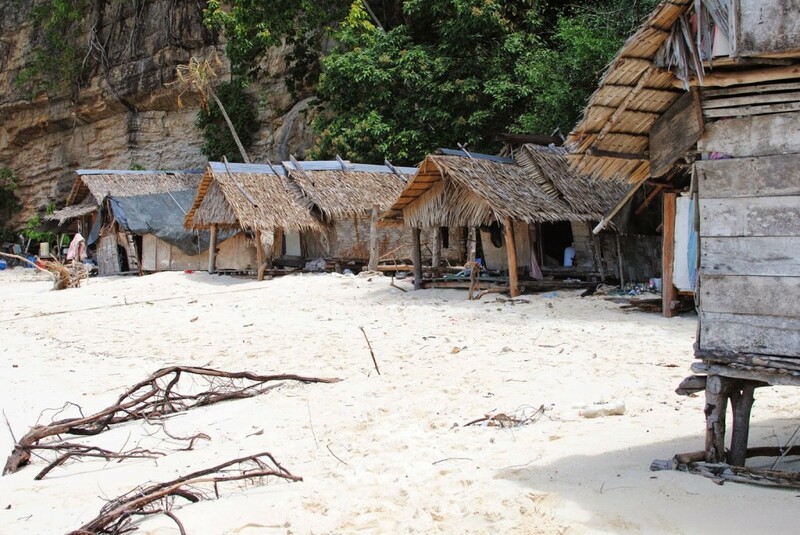 The shore is dotted with little wooden huts and a path led us towards the swimming beach. On the way we stopped to enjoy a swing. The water at the swimming beach is deep and cool, which was a nice break from the warm shallow waters on Phi Phi Don, and the sand is full of white coral. Back on the boat, we headed off for Mosquito Island, or Mojito Island as pronounced by our guide. We much prefer his name for the island considering it is a fabulous drink and who wants to visit an island that sounds like it might be infested by mosquitoes. Instead of docking on shore, we set down the anchor and jumped in for another round of snorkeling. Turns out third times the charm! 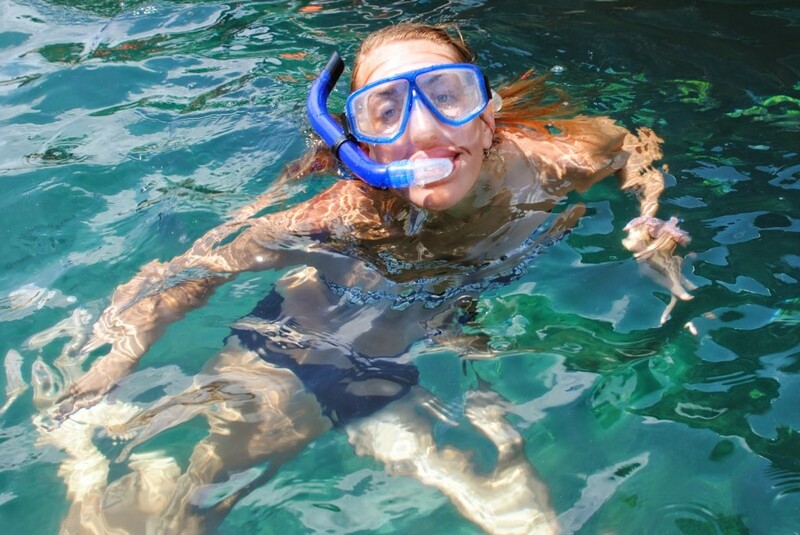 This was my third go at snorkeling and this time I jumped right in and didn’t come back up til it was time to go. This spot was fun because we could stand on the coral (are we allowed to do that?). There was a lot more to see here than the first spot too, including neon yellow and black striped fish and a few rainbow fish. 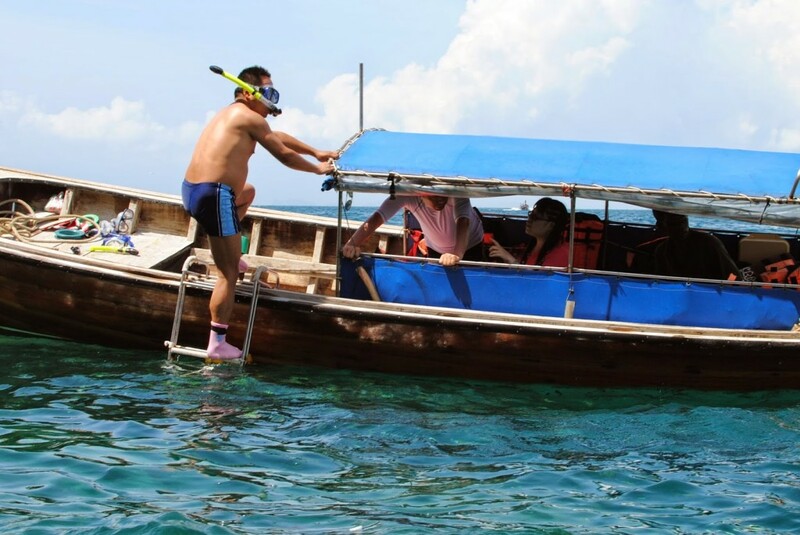 Some tourists had very questionable snorkeling attire… This guy wore his socks while a couple on our boat snorkeled in tennis shoes! 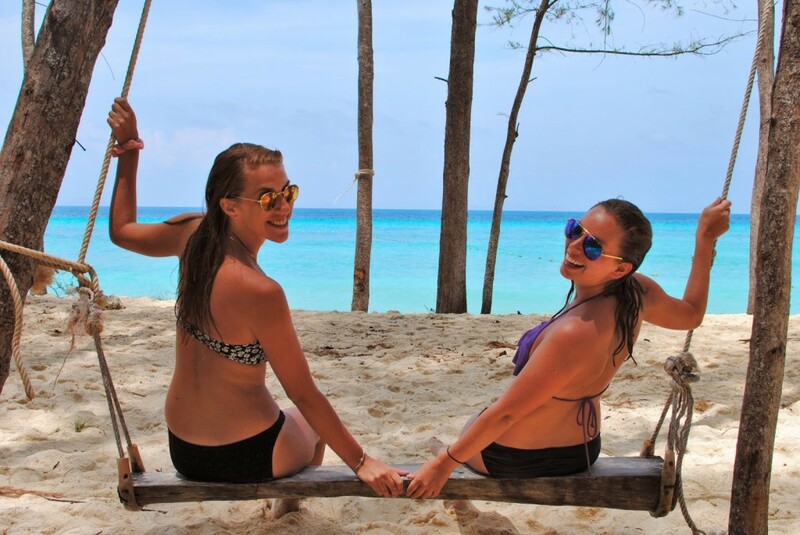 After exploring around Bamboo and Mosquito Island, we headed off for Koh Phi Phi Leh. Yep, the island where they filmed Leonardo DiCaprio in The Beach. Along the way we sailed by Viking cave. 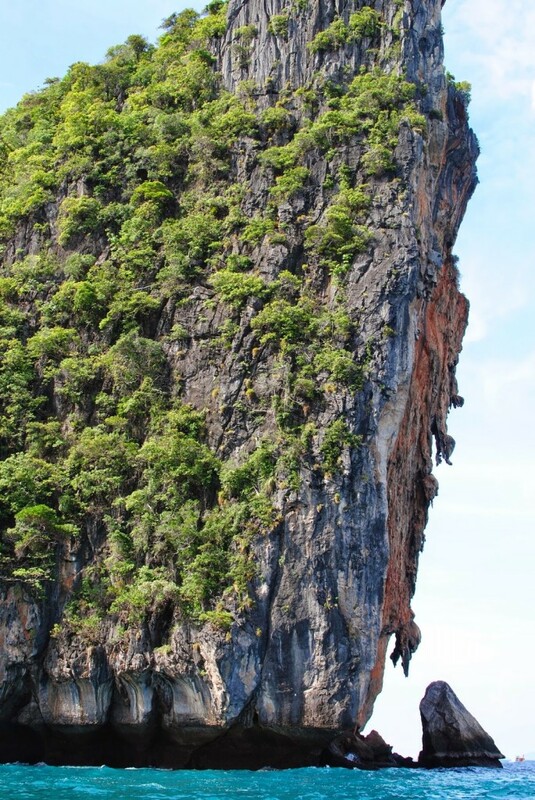 Our captain pointed out Maya Bay, but because of the water levels you can’t boat right in. Instead he pulled into an adjacent bay, gave us no directions, and simply told us to jump in and go. I unfortunately couldn’t take my camera on this part of the adventure. We had to swim in deep water towards a cave and before long ran into deep purple, gold, and burgundy colored rocks. I have never seen anything like it. You can see the shells covering their entire surface which is quite stunning until you realize the waves are bashing you in towards the cave walls and sharp seashell-covered rocks beneath. We made it in with only a few minor scrapes other than a cut on Maggie’s foot but this wasn’t the end. After arriving at the mouth of the cave we had two choices: climb up a rope ladder that leads to stairs over the cave or walk through the cave navigating rope handles intricately tied above our heads. I will no longer shame those who wear water shoes. After the adventurous journey inside we stepped into a little cove with a thick green canopy overhead. We walked along a path lined with a few shacks, a snack bar and toilets suggesting someone lives on the island to maintain the place. We followed the little wooden signs to get to the infamous beach and when I looked up we were surrounded by bright green foliage and cliffs that seem to reach up to the sky. When we finally broke through the jungle we arrived on a little crescent shaped beach sheltered by seemingly never-ending cliffs that create Maya Bay. The sand is a fine and the water is so clear it almost looks white. We sat in the shallow water as it gently pushed us in and pulled us back out for about an hour before we had to reverse our tumultuous journey and swim back out to the boat. With everyone back on board in one piece we set off for a bit until Captain slowed the boat at at the mouth of another unknown bay. When I asked him where we were he simply said “norkelin.” Everyone was utterly exhausted from Maya Bay so only three of us opted to jump in and I’m so glad I did. The coral was abundant and there were bright neon purple creatures growing on the side of them that seemed to be opening and closing like a mouth to capture fish and debris as they floated by. We also caught a glimpse of some angel fish, puffer fish and rainbow colored fish. While I was busy chasing after schools of small silvery fish, one girl saw an eel. 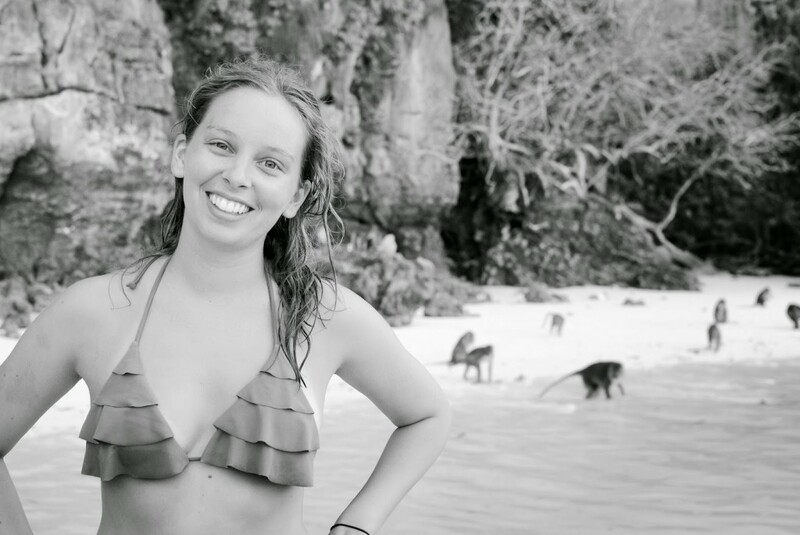 We couldn’t stay forever as much as I would have liked to, so I hopped back on board and we set off for Monkey Beach. As we pulled up we spotted the monkeys waiting eagerly along the sand. 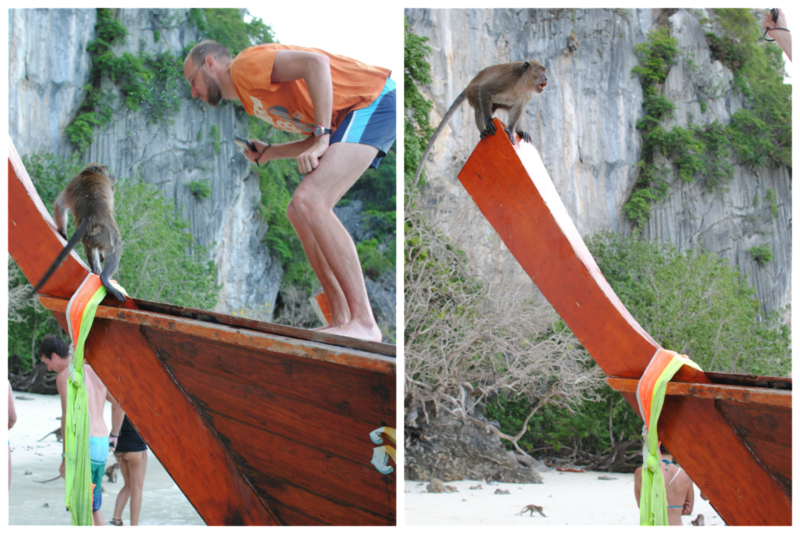 As soon as we got in close range, a few of the bolder monkeys ran out into the water and jumped onto the arriving boats. 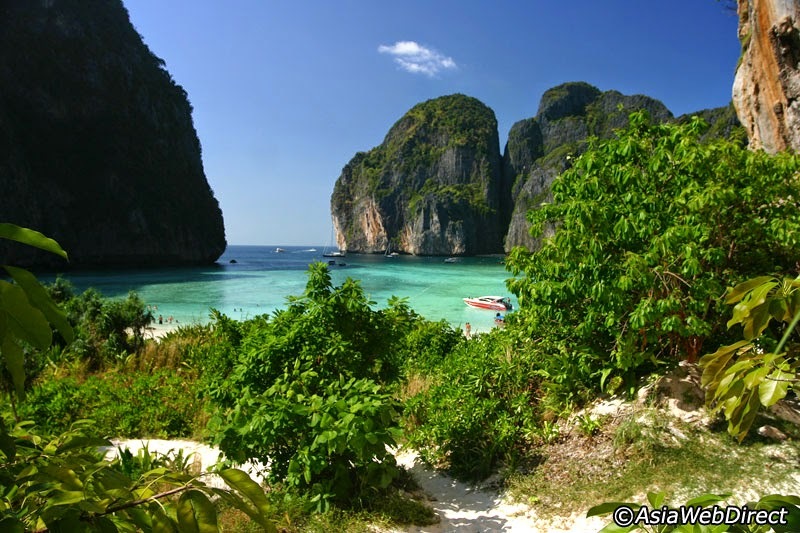 I have been told by one of our new travel friends that the Monkey Beach on the other side of Phi Phi Don is much nicer. The sand is clean and fewer tourists are there since the boats don’t stop at this beach. You can reach this Monkey Beach by kayak. Rentals are available around town. Captain loaded us back onto the boat and set off for sunset point. We sat an watched as the sun approached the horizon and enjoyed the relaxing moment after our full day adventure. 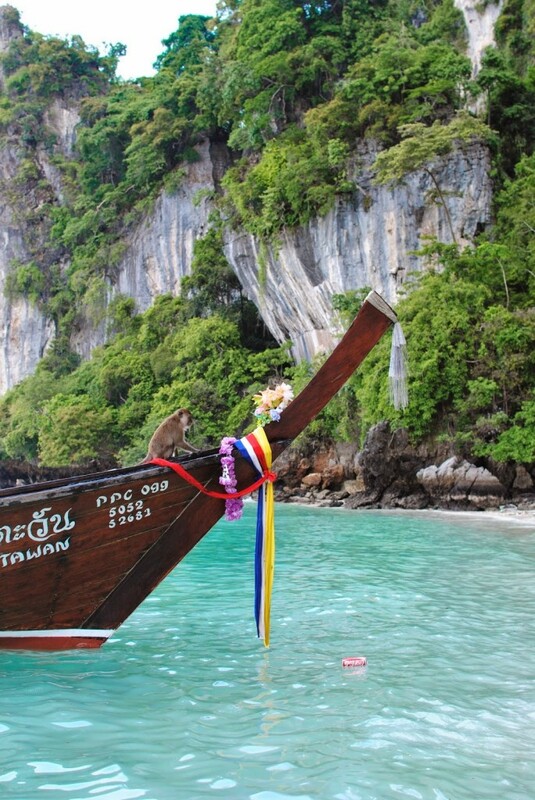 I highly recommend signing up for a boat tour on Koh Phi Phi since there is so much to explore around the island. 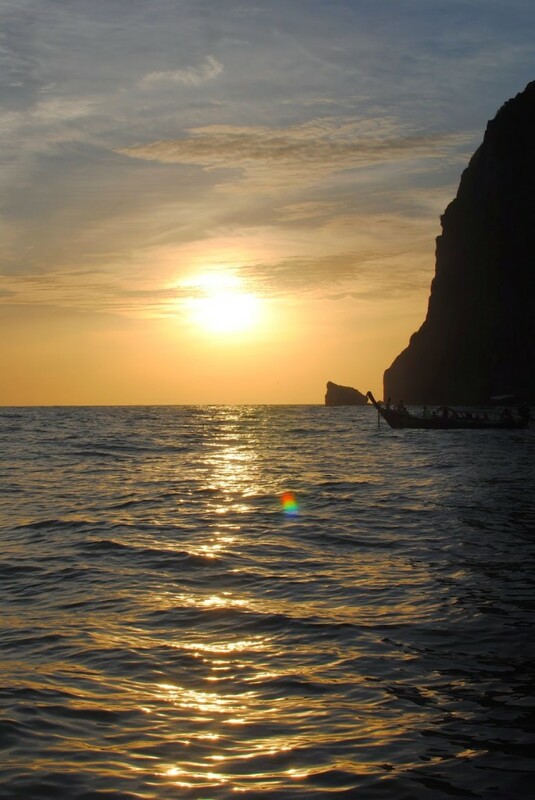 While you can paddle to some of the spots by kayak, certain places like Maya Bay are best reached in a boat with a guide because even if they don’t speak English well they do know the area. HEY!! Thanks for sharing your experience.. it was enjoying to read. We are heading there in March and we saw your pics with the swing.. where is this at?? Is it right in the beach were the tours arrive or do we have to go to a specific spot? The boat arrives on a small stretch of beach and they pointed us onward to a bigger stretch of beach that is more suitable for swimming. The swing is on the path there. I hope you found it. 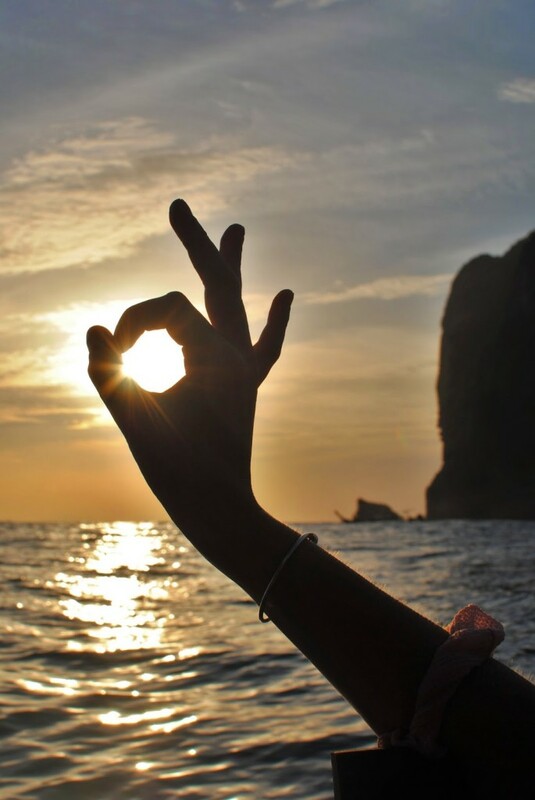 Let me know how you enjoyed Koh Phi Phi!